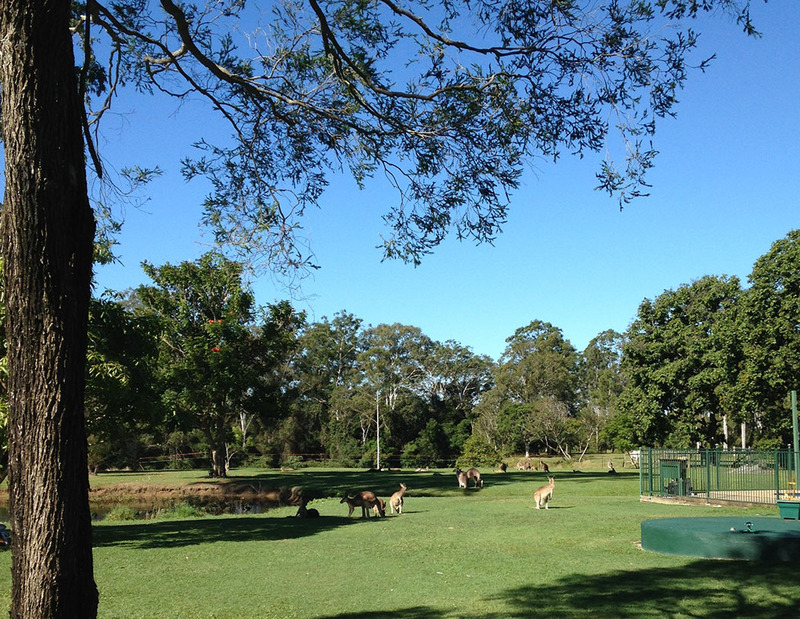 If you fancy a relaxing rural getaway amidst nature and exotic wildlife all the way on the other side of the world, then a stay at Bellmere on Richards in the heart of Queensland could be just what you’re looking for. Set in five acres of lush green parkland and with kangaroos and kookaburras for neighbours, you really can forget all about your 9-to-5 grind back home and instead kick-back and relax Aussie-style. Located right on the Sunshine Coast in south-east Queensland, Bellmere on Richards is a wonderfully secluded boutique 4.5 star holiday home-away-from-home set in a wonderful rural location near to Wararba Creek. This peaceful hideaway offers you all the comforts home alongside all the benefits of being in Australia: sunshine, dozens of outdoor attractions and activities, great wildlife, beaches and more. This home-away-from-home-down-under features everything you would expect from a welcoming holiday home with plenty of modern amenities and home comforts. Inside you find three spacious bedrooms with queen or single beds, ceiling fans, built-in wardrobes, full length mirrors, clock/radios, black out blinds and curtains (essential for jetlag! ); as well as two large bathrooms. The main open-plan living area is divided into three sections: a lounge featuring a three-piece leather suite, coffee table, flat screen TV and DVD player; a second living room with books, games and magazines and a dining area with large table. The modern fully equipped kitchen is complete with dishwasher, microwave, fridge-freezer, oven and hob and there is also a utility room with washer dryer and ironing facilities – so there’s no excuse to pack your dirty laundry and bring it home with you! 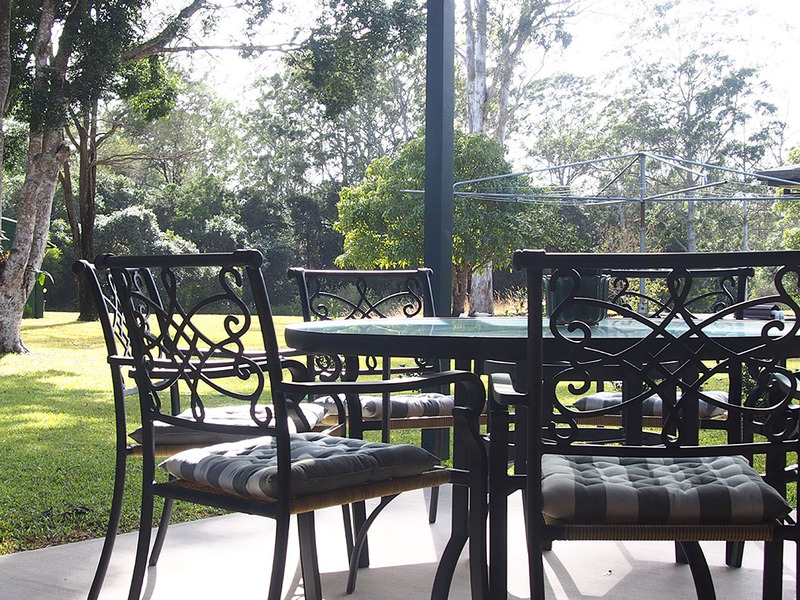 Now of course no Australian home would be complete without a large, sociable outdoor BBQ area and Bellmere on Richards is no exception with a large dining area with table, an impressive BBQ and more than ample seating, all overlooking the lush green and tranquil grounds. This property also features welcoming wrap around verandas and off street undercover parking as well as gardens, a small orchard and an abundance of resident native birdlife (and plenty of Skippies!). 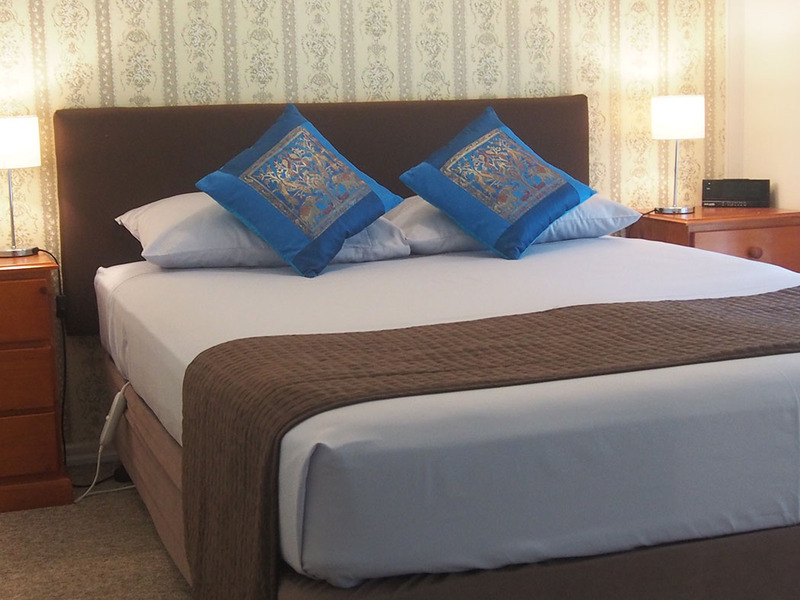 The owners thoughtfully provide you with all the bed linens and seasonal blankets you could require, as well as extra pillows and baby equipment if you need it. 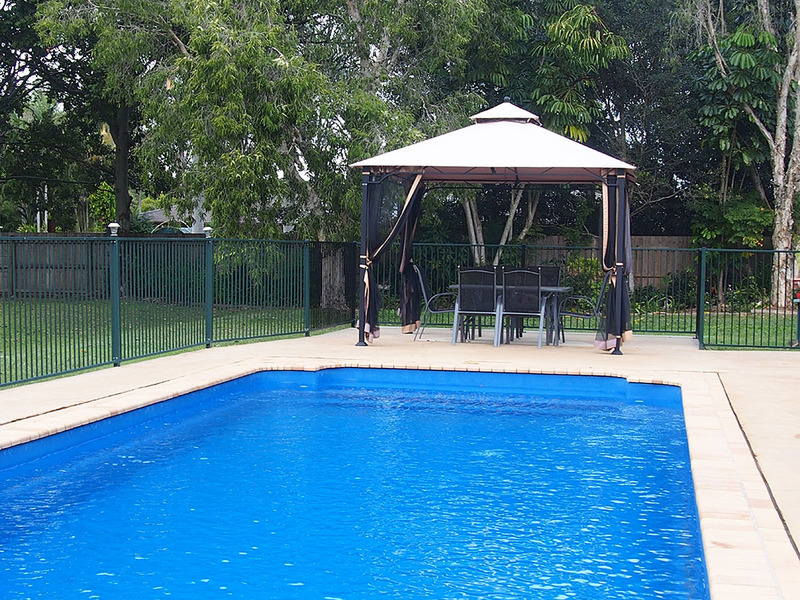 At less than a 50 minute drive from Brisbane International & Domestic Airports, this rural idyll is conveniently located near to numerous local attractions and activities within the Moreton Bay area. You can hop in your car and in just a matter of minutes arrive at local wineries; a range of adventure, equestrian and water sporting venues; and you’re also just half an hour away from the Glasshouse Mountains, beautiful Bribie Island and the fabulous Australia Zoo, made famous by the late Steve Irwin and his passion for ferocious crocodiles. The Moreton Bay Region also boasts lush farming land, fascinating little towns, art galleries, country markets and excellent restaurants. 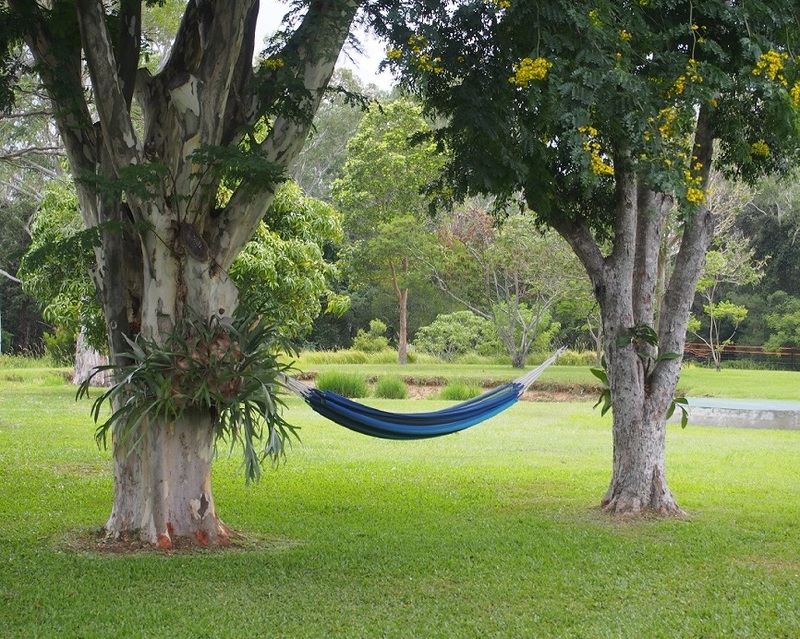 All in all, if you’re after a taste of good old out-door living, surrounded with all the comforts of home, set in breathtaking landscapes, with great wines and even lovelier people, then a stay at Bellmere on Richards in Queensland is not to be missed.